Q) How long does it take to learn kiteboarding? A) Everybody learns the sport at different speeds, but we find 2 days is enough time to get the basics to continue comfortably practising. Riding confidently back and forth takes a little more time, but comes quickly over your next 2 or 3 sessions. Q) Do you have to be strong? A) Not at all, finesse and technique are more important in kiteboarding. We harness you to a kite which is correctly sized to the conditions and your body weight to ensure you never feel strained. Q) What if there is no wind? A) If there is no wind it’s impossible to fly a kite, if you can’t fly a kite we aren’t going to be able to teach you to kiteboard. We run a strict and fair customer first policy; if conditions don’t allow us to be productive we won’t waste your time and money pretending we can. In the unfortunate event you book a course and the conditions aren’t right, we’ll reschedule you to a later date when you will get the most from it. Q) Which course is right for me? A) Thats depends on what you want to get out of it. Our taster session keeps things informal and fun, our day courses are thorough, social and informative, whilst our private lessons, coaching and fast track courses encourage intensive fast paced progression. If our lesson info here doesn’t help drop us a line and we can chat through the options with you. Q) When do our sessions run? A) We teach daily from sunrise to sunset all year round. We have a schedule of group courses and a flexible diary for private lessons 7 days a week. Simply contact us to check availability if you don’t want to book online. Q) What is the youngest age you can start? A) There is no official youngest age, but we normally recommend 12 years old. That’s when we find most kids are mentally mature enough to understand the theory and important safety aspects involved with kiteboarding. With parental supervision we have taught children as young as 6! Our grom lessons are specifically run for ages 12-16. we recommend 1:1 training for children under 12. Q) How long does a day course last? A) A full day course normally starts at 10am and finishes at 4pm. We’re not clock watches though; we want to see you succeed, if that takes a little longer you won’t find us stopping your progression early, we’ll finish when it’s right to finish. Q) Do I need any previous experience? A) Not for a beginner course. 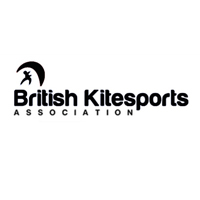 Any kite experience you can get prior to the course will help, but we plan for you having done nothing. Q)What if I’ve done a little before? A) There’s no point joining a group session with previous experience, you’re better taking your own instructor to recap and carry on from where you left off. contact us to tailor a plan that just right. A) Just a towel, swim costume and clothing or sun protection appropriate for the day. Think about bringing an energy packed lunch, or cash to buy something from the local store. If you have your own wetsuit feel free to bring it, otherwise we’ll provide all the equipment you’ll need to enter the water warmly. Q) Why learn with Poseidon? A) Aside from our location making learning as easy as possible and our kit being the best on the market, our team is made up of the most passionate and experienced coaches in the game. We do it because we love it and through our drive to get people to a level they can join us we run a system which makes it easy to start, progress and excel with us until you’re ready go shredding alone. Still not found the answer you’re looking for? We’re people - people… pick up the phone, drop us an email or come visit us at the beach and we can help you out.